Next time you pull on a pair of jeans, consider this: You can use denim to keep your house cool in the summer and warm in the winter. Though it costs nearly twice as much as fiberglass, denim insulation (also known as cotton fiber) offers significant advantages over traditional insulation materials. Blue and Green. If sustainability is a priority in your project, you may appreciate that denim insulation is made from post-consumer recycled natural fibers in a low carbon-footprint process. Companies collect old blue jeans and resell the loose fibers to insulation manufacturers. In this way, Bonded Logic, one of the first and largest manufacturers of denim insulation, diverts an estimated 300 tons of the material away from landfills every month. Breathe Easier. 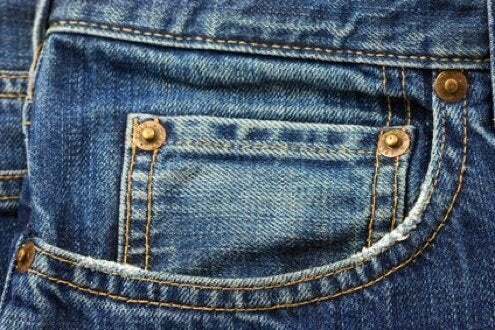 Denim can help improve indoor air quality, because it contains no VOCs (volatile organic compounds)—chemicals that may emit polluting gases that contribute to asthma and allergies. Peace and Quiet. Thanks to an acoustic rating that is 30 percent higher than fiberglass, denim insulation contributes to a quieter home environment. Lower Energy Bills. 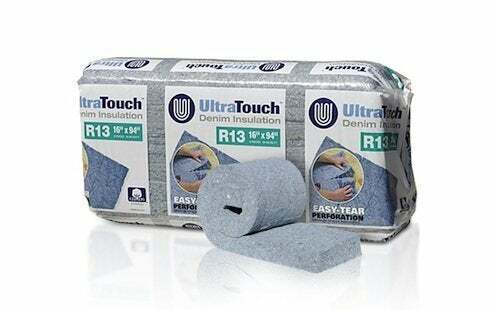 Denim insulation is available in R-values of R-13, R-19, R-21 and R-30, which means that it insulates no less well than cellulose or fiberglass insulation. Hardwearing. Denim insulation is mold-, mildew-, and fungi-resistant. In addition, the product, typically treated with a non-toxic borate solution, boasts a Class A fire rating. Convenience. Though it cannot be blown in, denim insulation comes in perforated batts that are as easily to install, being sized to fit between standard studs and joists.